The 2016 MotoGP season is in full swing as we are almost halfway through the season! We have definitely seen things start to heat up, and we can’t wait to see what the rest of the season holds. Will Marquez maintain his lead? 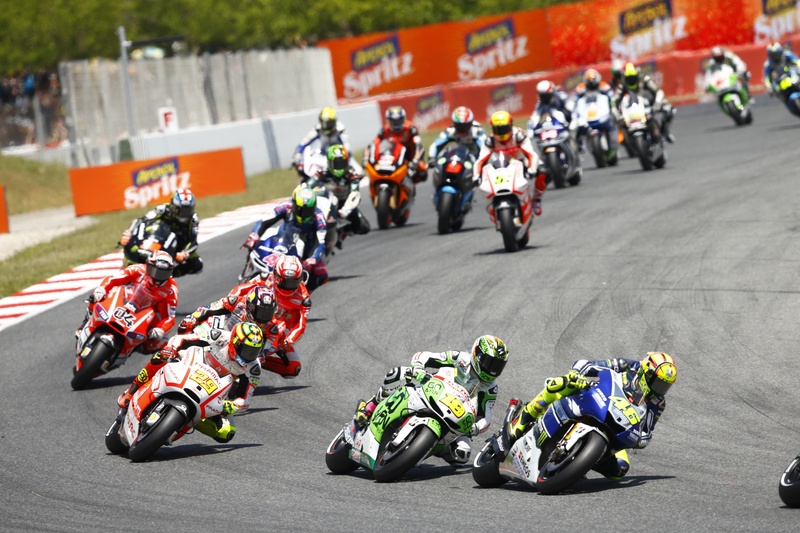 Take a look below at the current standings and then see whether or not you agree with our prediction for who will win the MotoGP World Championship. Marc Marquez has been off to a great start this year with six podium finishes out of seven starts. He finished in first place twice, second place twice and third place twice as he currently tops the MotoGP standings with 125 points. Marquez held the Champion title in 2013 and 2014 before finishing in the No. 3 spot in 2015. Does he have what it takes to maintain the No. 1 position this season? 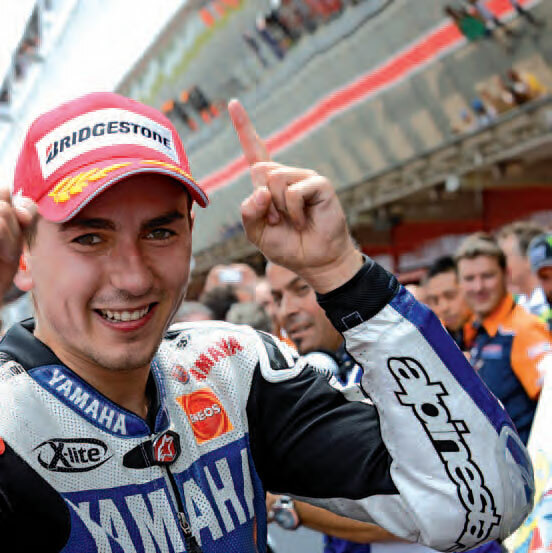 Last year’s World Champion Jorge Lorenzo has also started the season strong with five podium finishes in seven starts, finishing in first place three times and second place twice. He currently sits in the No. 2 spot with 115 points. In 2015, Lorenzo trailed Rossi leading up to the final race but was able to surpass him by five points to claim his third premier-class title. Will he be able to hold off Rossi the remainder of the season? Currently at No. 3, Valentino Rossi has held four podium finishes in seven starts – he finished in first place twice and second place twice. Now, with 103 points, he’s barely trailing Jorge Lorenzo. In 2015, Rossi won four races and led the championship until the final race where he was overhauled by teammate Jorge Lorenzo, causing him to finish in second place by five points. For years, Rossi was a winning machine – can he pass Lorenzo and Marquez and resurrect his win streak? Following behind the top three is Dani Pedrosa with 82 points. Pedrosa has finished in third place twice among seven starts this season. Sitting in the No. 4 position is rather familiar to him seeing as though he landed himself in this position in 2015 and 2014. Pedrosa has yet to claim a MotoGP premier-class title, although he’s come rather close. Does Pedrosa have what it takes to surpass MotoGP’s most dominant riders? We still have more than half the season left, and we know anything can happen. Do you expect the standings to remain the same or will these riders start to shake things up a bit? 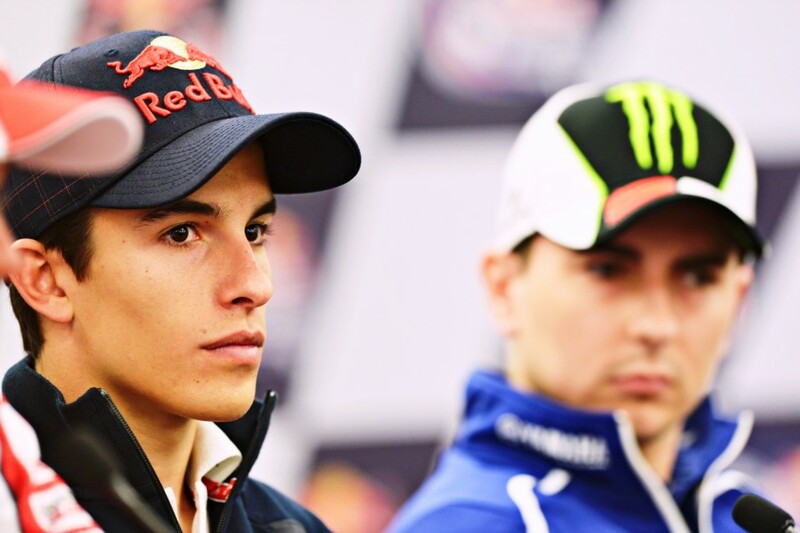 We almost want to wait until after Assen to make our prediction, but for now, we are going with Jorge Lorenzo. After suffering a bad Sunday at the Catalan GP, Lorenzo is ready to bounce back and put the past behind him. Leaving his home race with zero points definitely affected the standings as Marquez now holds a ten-point lead, but if Lorenzo can have a strong result at the Motul TT Assen, then he should be able to stop Marquez from gaining too much momentum. Lorenzo will have to keep an eye out for teammate Valentino Rossi, however, who is coming off a big win in Barcelona and definitely poses a threat in Assen. Considering we still have eleven races left in the season, it’s challenging to predict who will clinch the world title, especially considering how last year went down. With Rossi leading all season, most MotoGP fans expected him to secure the title, but as we know, it’s not over until it’s over. Lorenzo snatched it away, only winning by five points. With that being said, Marquez holds a solid lead, but we can easily see Lorenzo passing him at some point during the season. It will definitely be interesting to see if Lorenzo can join the greats in winning on two different makes of motorcycle (Yamaha and Ducati). This three time MotoGP World Champion is more motivated than ever and is certainly up for the challenge. No matter where you are in the world, you can and should attend a MotoGP race! Next up is Assen followed by Germany in July and Austria in August. Things are really starting to heat up and you can be there to witness it all with MotoGP VIP Village access!